Scripts & Things Recap: 9/19/18 - Moddable Tech, Inc. This laundry system has three devices: a washing machine, an ESP8266 connected to an Arducam camera and a small OLED screen, and a Moddable Zero. The washing machine broadcasts information about itself using mDNS. 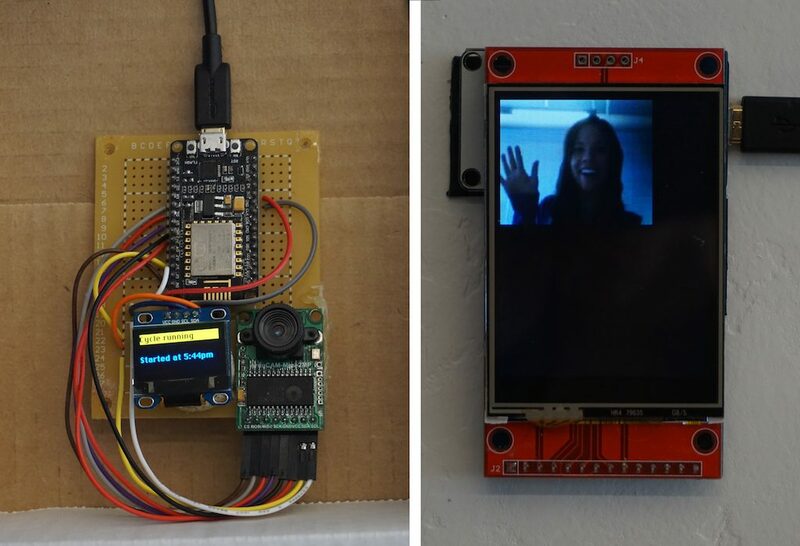 The ESP8266 connected to the camera listens for updates and displays the time the last cycle started and when it ends. It also takes a photo whenever the door is closed, uploads it to an AWS S3 bucket, and broadcasts the URL of the most recent photo using mDNS. The Moddable Zero listens for updates to the photo URL and displays the new image on screen. If you’re facing problem 1 mentioned above, the picture on screen is the person who moved your clothes and the time displayed on the screen connected to the camera is when they moved them. If you’re facing problem 2, the picture on screen is the person whose clothes are in the machine and the time displayed on the screen connected to the camera is how long they’ve been there. This demo was meant to be a fun example of wireless communication between several devices. I was also pleased that it led to follow-up conversations with audience members who wanted to add additional features like text updates when your laundry is done (which would be easy to add by reusing code from our twilio example app), and that others were entertained by the idea of taking self portraits with a washing machine. These demos may sound simple, but they are exciting because they demonstrate a much bigger idea: the idea of customizing the devices you buy to suit your own needs. This is an idea we at Moddable embrace and want to see become standard for IoT devices. We talk about it every chance we get whether it’s at other meetups, trade shows like Maker Faire, or conferences like Sketching in Hardware. Andy Carle shared a project he is working on for his ice curling club. His goal is to build a low-cost system of devices that tells curlers information about the speed of their delivery. The first device is an iOS app that displays the timing information. For this demo, it was a quick prototype of the app running on an ESP32 with a small screen attached. The second device is a timing gate that consists of a laser, a photoresistor, a compact mirror, and an ESP32. The mirror is attached to a box a few feet away from another box with the laser, photoresistor, and ESP32. The laser points at the mirror, which reflects the beam of light at the photoresistor. The ESP32 reads the photoresistor to determine when something (a curler) breaks the path of the laser beam. In the final setup, there will be two timing gates. Each will send the iOS app a timestamped message when the curler crosses its path. The iOS app will calculate how much time elapsed between the two messages and display it on screen. Products that do the same thing are available on the market already, but it would cost tens of thousands of dollars to purchase enough for an entire curling club. Andy’s project makes use of inexpensive materials and will significantly reduce the cost. Peter Hoddie showed us several ESP32-based dev boards: M5Stack Fire, LilyGo TAudio, Simple Alexa, LilyGo T5S, oddWires, and a prototype Moddable Zero using ESP32. 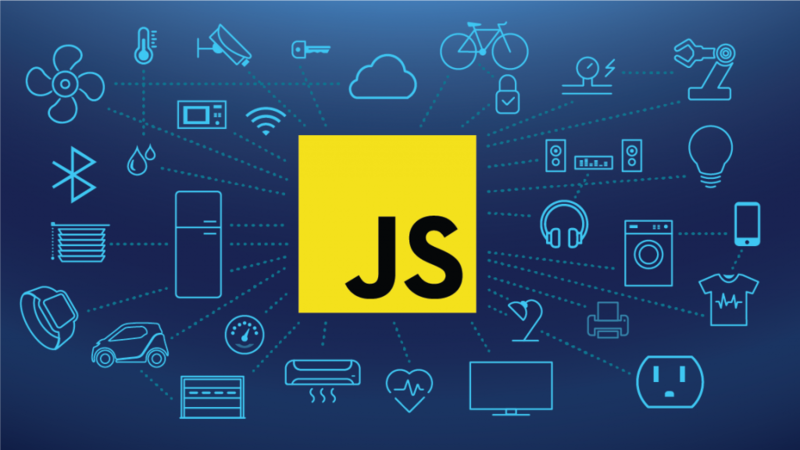 He then explained some of the challenges developers face when trying to bring up a new board, such as the tedium of figuring out each device’s pin configuration and changing applications every time you want to run them on a different board. For example, the M5Stack Fire and Lily Go TAudio both have built-in NeoPixels. However, their configuration is completely different, so doing something conceptually simple like turning all the lights on ends up being considerably more complicated to code because you have to figure out the pin numbers, count the number of lights on each strand, etc. 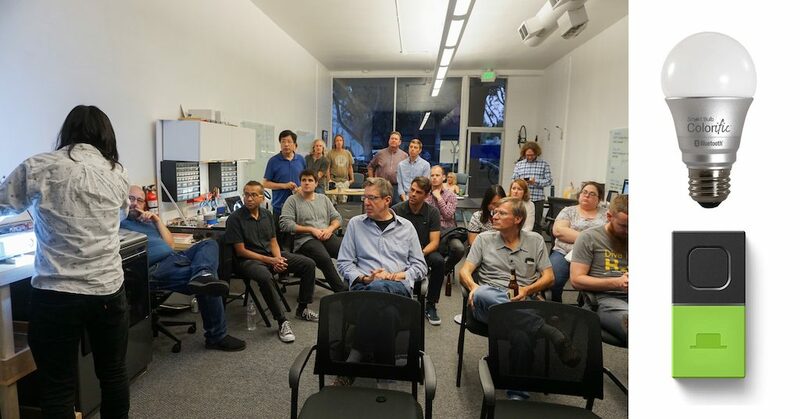 It was great to share our demos with an engaged audience and hear their ideas about things they would like to build and how they would like to see our demos extended. We look forward to the next edition of Scripts & Things in October!